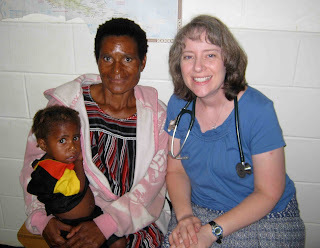 With Dr. Susan on her way to the U.S. for home assignment, I have once again taken over responsibility for the Kudjip heart kids. Perhaps you remember some of the stories from two years ago: Maryanne, Princess Romania, Konde. 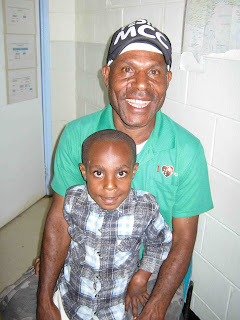 This year we have 6 children with congenital heart defects who will be going down to Lae for screening. Those who are candidates for surgery will fly on to Port Moresby for care by Open Heart International (formerly Operation Open Heart). The procedures will be done late July to early August. In preparation for their journey, I saw two of our heart kids in clinic this week. Melindi is about two years old. She has a patent ductus arteriosus, or PDA. She was screened by the OHI team last year and was referred on to Port Moresby for surgery. Unfortunately the team ran out of time to do her procedure. Hopefully she will be a candidate for this year! Konde is 7 years old. 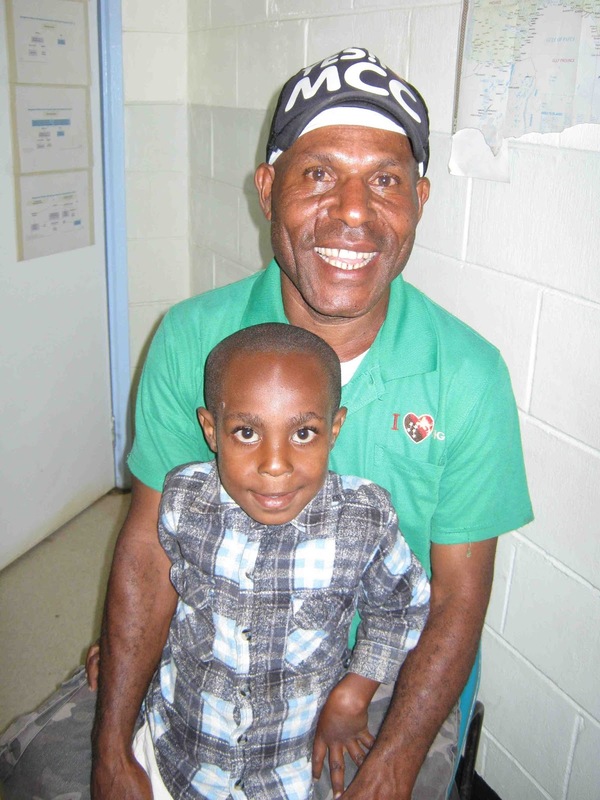 He has also made a previous trip to Port Moresby; he had a procedure done by OHI in 2011. His complicated heart condition requires a second surgery. So we are praying that this time around he will be completely healed. Please pray for our kiddos--for safe travels, that they will qualify for surgery, and that the Lord will bring healing to their broken hearts. Airlines PNG has so graciously agreed to provide free tickets for the patients and one parent from Lae to Port Moresby, and then home again to the highlands. Once we know which children are being referred on for surgery, I will be working with the airline to make travel arrangements. Pray that everything goes smoothly! "My flesh an my heart may fail, but God is the strength of my heart and my portion forever."